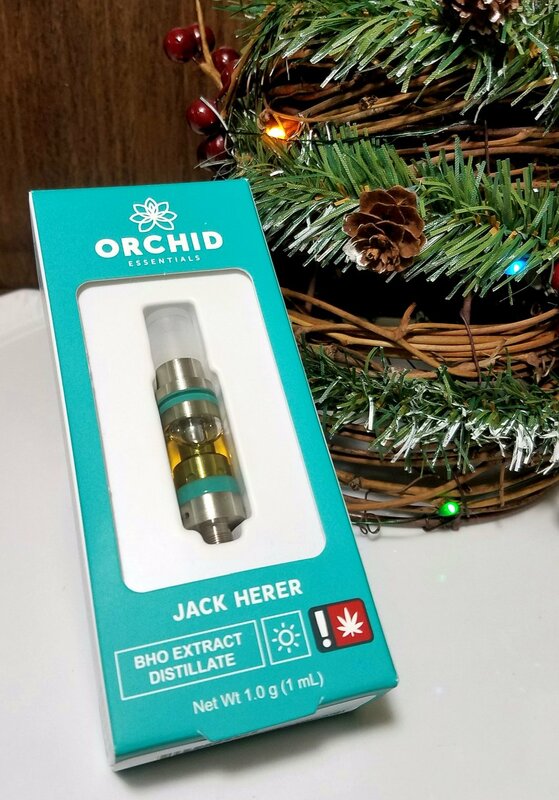 I decided to finally try the Jack Herer Orchid vape kit even though I have a lot of other set-ups, I was really curious to give these a try after all the positive feedback I've gotten from coworkers and customers. This is my favorite cartridge/battery combo I own and now my go to vape! The battery is super powerful and amazing technology! There are two main reasons this product is so great; they put out way more smoke than most cannabis vapes and also the terpene content is much higher than any other cartridge I've seen. The Jack Herer itself was very true to the strain. The high was energizing and creative. I actually got a lot of writing and drawing done while smoking this! The taste was as great as I had been expecting too. This is how I feel when I'm smoking my Orchid.